The amazing trip to the stratosphere, more than 35,000 meters high. 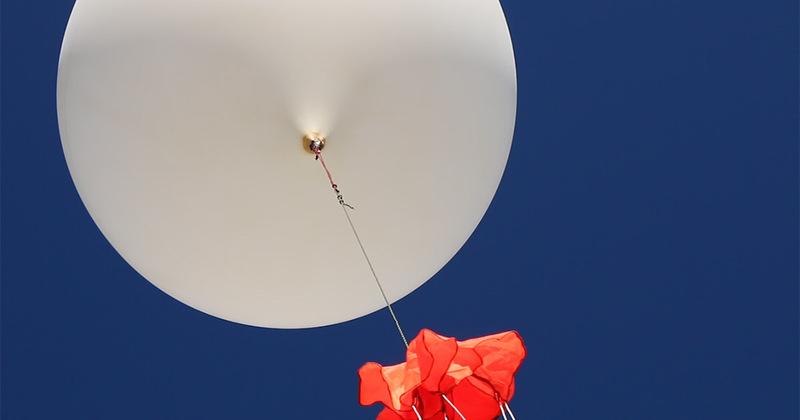 Everything started with the idea of taking an amazing picture, but that idea came out as a capsule with photo and video cameras on a weather balloon. It took the name of SkyQuest. The project was developed and re-designed once again during Semana i, when students from Tecnológico de Monterrey took over the task that once belonged to an IPS member. Figure out how and where to place the sensors, make everything work, calculate takeoff and landing zones and recover the SkyQuest. But the results were great! Amazing photos and videos of the stratosphere to a maximum height of 27,278 meters! Sounds easy? Yes. Is it? Of course not! First, students took multiple workshops during two days so everyone could understand and improve the SkyQuest 2. Then, the real challenge began… Programming, building, engineering, all at the same time because we had just two days to finish the capsules that we were going to be launched on Friday. Wednesday and Thursday went fast, and the capsules were ready, so we headed to the launching area at Museo del Desierto in Saltillo, a well known place for the IPS team, because of the first ever SkyQuest. 3..2..1… And we are going to the stratosphere! Now, the most difficult part started. We had to locate and recover Blackburguer and Russel – as students named their SkyQuest capsule. That day, we only rescued Russel because Blackburguer landed in a very difficult area, so we needed more time, equipment and a team ready for that task. Seven days later, SkyQuest 2 was back in headquarters. It was a very complex project, but together, Tecnológico de Monterrey and Inflection Point Systems, completed this amazing project!